Due to its power and simplicity, Python has become the scripting language of choice for many large organizations, including Google, Yahoo, and IBM. A thorough understanding of Python 3, the latest version, will help you write more efficient and effective scripts. In this course, I will demonstrate how to use Python 3 to create well-designed scripts and maintain existing projects. This course covers the basics of the language syntax and usage, as well as advanced features such as objects, generators, and exceptions. Learn how types and values are related to objects; how to use control statements, loops, and functions; and how to work with generators and decorators. also, I will introduce the Python module system. Cut down on your development time by learning how to write elegant code in an efficient manner, specifically in Python-the popular and pragmatic object-oriented language. I will explain how to make your Python code more expressive and concise, and leverage the most powerful features of the language by shining a spotlight on some of the strongest third-party packages you can take advantage of, discusses object-oriented and functional programming, and shares strategies for improving the performance of your code. I will illustrate these concepts with many intriguing examples, showing how to make 3D images and videos using photographs taken by NASA's rover on Mars, map the rover's progress through Martian topography, draw and paint fractals, and more. Are you a programming beginner? Maybe you've just started, or maybe you've taken a couple of entry-level programming classes and want to learn more. This course here will show you the basics of object-oriented programming (OOP) while teaching you the simple and functional Python programming language, and it Covers the basics of the language syntax and usage, as well as advanced features such as objects, generators, decorators, and exceptions. 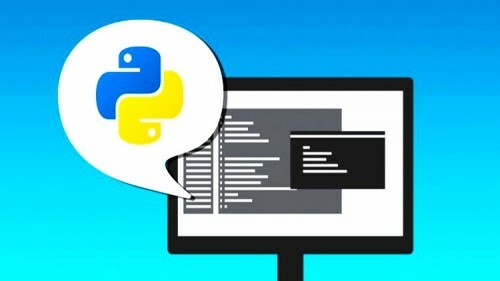 When you've completed this first course, you'll be ready to move on to improving your code quality in the second course in which you will learn how to become an efficient python programmer by making your code more expressive and concise and leverage the most powerful features of the language. You will get lifetime access to over 100 lectures plus useful resources and challenges to nudge your skills!! This course comes with a 30 day money back guarantee! With over 100 lectures You absolutely nothing to risk but everything to gain by enrolling in my course today. Learning Python How to become an effective Python programmer Fast Download via Rapidshare Hotfile Fileserve Filesonic Megaupload, Learning Python How to become an effective Python programmer Torrents and Emule Download or anything related.